I guess it should have got my ATTENTION! as soon as I read it. Maybe I’m being a bit shallow venting my disappointment on the web. 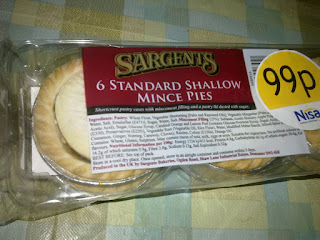 But I can’t help thinking these were very standard and rather shallow Mince Pies. I guess you would have to say they do exactly what they say on the packet, but it certainly means that they don’t get anywhere close to the top 20 on pierate! As it is, we should probably apologise for the lack of Mince Pies reviewed this winter – in fact, in Pierate history – so I guess a Mince Pie boot camp may be in order next Christmas. But there’s no doubt of all the Mince Pies I’ve eaten over my pie eating career, this has to be pretty much as standard as they come. 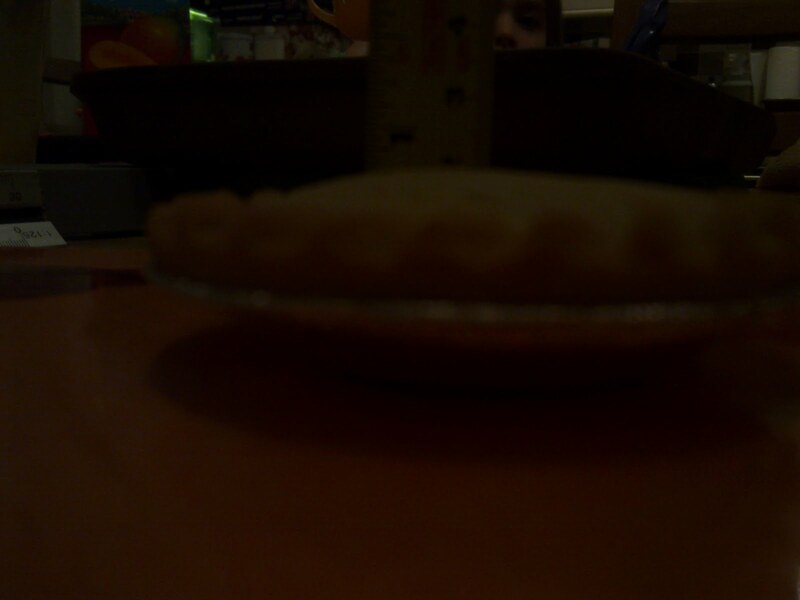 The short crust pastry was nice, however being so shallow, there wasn’t much filling, and what came as even more of a surprise in such a shallow pie was that they actually still had space to fill the pie with air! Not a compliment at all. While nothing wrong with the taste, it did feel lacking in...well...pie really! But I’d like to thank the Niclasens for hosting this pie tasting session (and the kids seemed happy enough with the pies, to be fair). Still, I’d recommend sticking to the luxury deep filled mince pies on offer next Christmas time.